Extraordinary people working together toward your health and independence. Better Care Delivered By Experienced, Passionate People. It’s What We Do. We fully support patients and their families providing caregiver support. Although no hospice service can be in the home 24 hours a day, visits from the Residential Hospice care team may be as often as every day of the week. Should loved ones require additional caregiver help, we can assist in finding the support you need. Our commitment to clinical excellence ensures you receive care from compassionate nurses and therapists with the most advanced and expert skills and training. 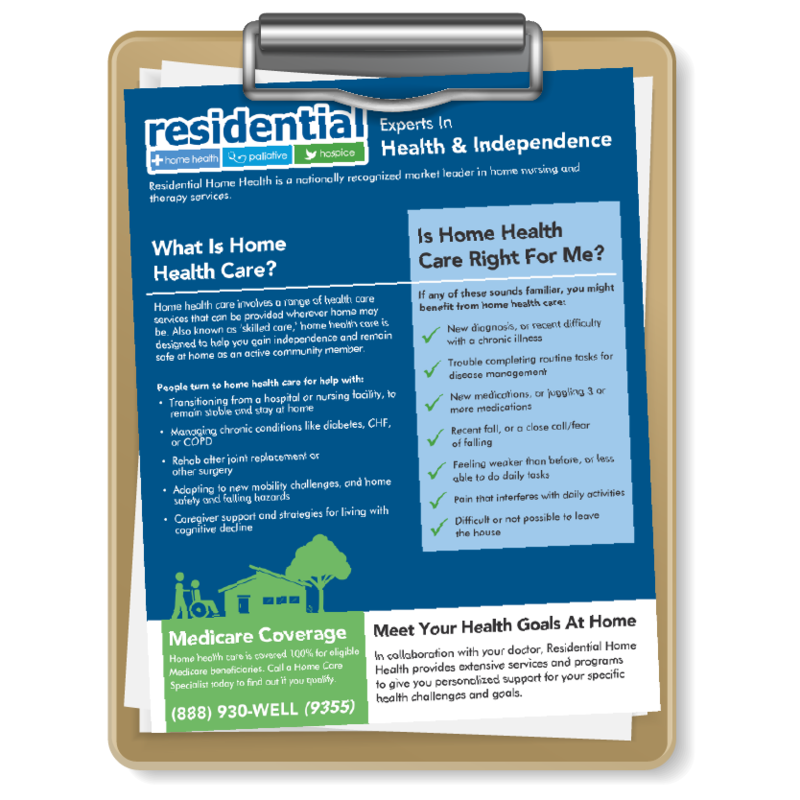 The #1 goal of Residential Home Health nurses is to keep patients at home and out of the hospital. Nurses evaluate patients’ health and environment, educate patients and caregivers on disease processes and conditions to help them become more independent, and coordinate care among doctors, hospitals, other Residential care team members, patients, and their families. Patients receiving physical therapy may have Parkinson’s, joint replacement, CHF or COPD, or general weakness contributing to unsteadiness, fear, and loss of freedom in activities. Physical therapists are here to help patients build strength and balance so they can become safer and more self-sufficient at home. Occupational therapists recognize that the best place to get better is at home. Their patients (and the patients’ caregivers) learn personalized adaptations for performing their daily activities more safely and independently, including strategies for moving with strength and balance, environmental adjustments, and help with assisted devices..
Speech-language pathologists assist patients with motor speech disorders, swallowing difficulty, loss of language ability, and cognitive and memory conditions. They provide in-home assessments and interventions for conditions such as Parkinson’s disease, stroke, ALS, head injury, dementia, COPD, or CHF. Residential’s team of speech-language pathologists is certified by the American Speech-Language-Hearing Association and specially trained in LSVT® LOUD and VitalStim. Medical social workers assess to understand each patient’s personal goals and most pressing needs. They help patients and families cope with their health challenges in the short and long term by connecting them with community resources, educating on options, and facilitating discussion between patients and their families and caregivers. Journey Counselors work with patients and loved ones to uncover their desires and goals for their care, in simple terms and with a special emphasis on quality of life. 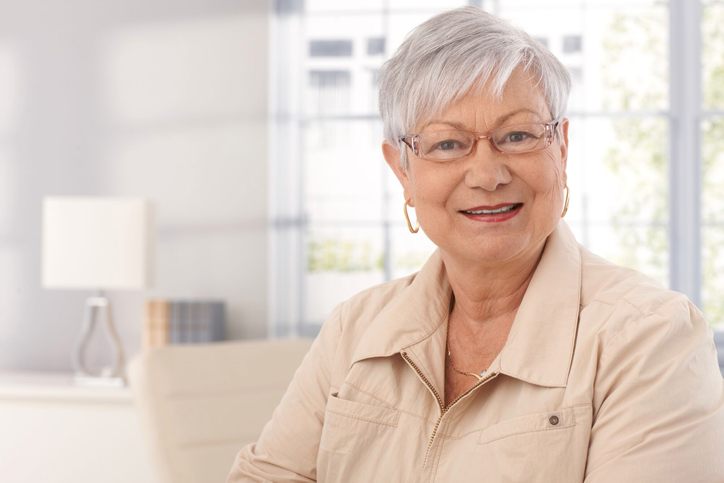 Through listening, empathy, and in-depth knowledge of home care services, these specialists help ensure that patients are getting the right care at the right time for their unique situation. I want to thank your company for your guidance and assistance in the care of my husband. I could have never made it through this past five years without your help even though I’m a nurse myself. Your therapists were invaluable in their help with his rehab and keeping his spirits positive. To you as a corporation it may seem like a job, but really, it’s ‘magic’ what you do! Thank God for home care and helping us transition safely from the hospital. Thank you so much. Residential has been recognized in the top 5% nationally for helping seniors on Medicare live better, recover faster, and have a higher quality of life and independence at home. Join our team and work for the only health care company that’s been named a Detroit Free Press ‘Top Workplace’ 7 years in a row.